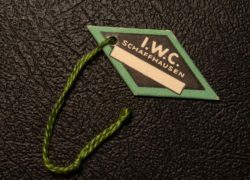 Item description: An IWC (International Watch Company) card hang tag dating from the late 1950s / early 1960s. 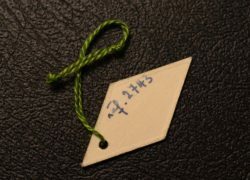 The card hang tag with black & green printing on white. Complete with original hanging cord. Special notes: Attached to the IWC watch from new.